Interview with Kristen-Paige Madonia + Giveaway! It’s finally here! If you caught my last From the Notebook, where I talk about exactly what I was up to during our hiatus, then you’ve probably been waiting for this for a while. Over the course of the New Voices Literary Festival, I was lucky enough to be able to sit down and interview Kristen-Paige Madonia, author of Fingerprints of You and the upcoming Invisible Fault Lines (to be released May 3). Not only was she gracious enough to talk to me for a while, but she ALSO singed a copy of Fingerprints of You that I am about to give away AND gave me some great swag! Before we get to that, though, allow me to introduce the fabulous Kristen-Paige! Kristen-Paige Madonia is the author of the young adult novels Invisible Fault Lines (Simon & Schuster Books for Young Readers, 2016) and Fingerprints of You (Simon & Schuster BFYR, 2012). Her short stories have been published in various literary magazines including FiveChapters, the New Orleans Review, the Greensboro Review, and America Fiction: Best Previously Unpublished Stories by Emerging Authors. She has received awards or fellowships from the Sewanee Writers’ Conference, the Vermont Studio Center, the Juniper Summer Writing Institute, VCCA, Hedgebrook, Millay Colony for the Arts, and the Key West Literary Seminar. She was the 2012 D.H. Lawrence Fellow and was awarded the Tennessee Williams/New Orleans Literary Festival Prize in 2010. 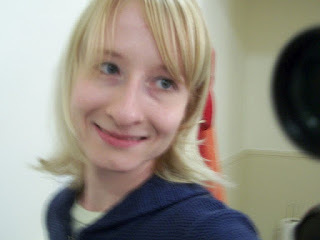 She holds an MFA in fiction from California State University, Long Beach and currently lives in Charlottesville, Va. She is a member of the University of Nebraska low-residency MFA Writing Program faculty and also teaches creative writing at the University of Virginia, James Madison University, and WriterHouse. The interview and giveaway are coming, but first: logistics! This interview took place verbally over the course of 15 minutes. I transcribed it into what you are about to read, editing for general speech tics and creating full sentences–that kind of thing. Initially I thought I was going to edit it into something a bit shorter but … well … Kristen-Paige said too many smart things that I agreed with not to share them all with you! It’s a great read AND there’s a giveaway at the bottom, so here we go! The hiatus is OVER! This isn’t a very bookish From the Notebook, but I am talking about where I’ve been, where I’m going … and I’m announcing an upcoming giveaway that’ll hit the blogosphere later this week. The giveaway includes a signed book and swag, and will be attached to an exclusive interview with the author, Kristen-Paige Madonia. I got to meet her last week, and she is amazing! Anyways, for more info … here’s the video! WELCOME TO AUTHOR MILDA HARRIS! Author Milda Harris is a Chicago girl who ran off to Hollywood to pursue a screenwriting dream! Shehas a dog named after a piece of candy (Licorice), was once hit by a tree (seriously), and wears hot pink sunglasses (why not?). Between working in production on television shows like Austin & Ally, Hannah Montana, and That’s So Raven and playing with her super cute dog Licorice, she writes young adult murder mystery, horror, paranormal romance, and chick lit novels. Her ebooks Adventures in Funeral Crashing, Adventures of a Graveyard Girl, The New Girl Who Found a Dead Body, Doppelganger, and Connected (A Paranormal Romance) are for sale now! Citrus Leahy is having a really bad day. First she’s late to school. Then she runs into the girl who drives her nuts because she always calls her Orange instead of her name. To cap it all off, though, when Citrus finally makes it to class, she sees herself already inside. Wait. What? Citrus Leahy has a doppelganger, it’s probably aliens taking over the world, and her life has just turned totally upside down!. Goodbye, normal. Hello, paranormal! Luckily, her crush Aedan has the exact same problem! So, your book Doppelganger was just released. Can you tell me in one sentence why someone should read the book? You should read Doppelganger because it could happen: evil doppelganger aliens could take over the world and you should be prepared. Kidding. Maybe. What inspired you to become a writer of books? Reading! As soon as I started reading, I couldn’t stop and quickly wanted to write my own books! When you’re writing, do you prefer silence or do some of your characters have soundtracks? Or do you do something completely different? Usually I prefer silence, but every once in awhile there’s a soundtrack to the story. I wrote the bones of one book that’s yet to be released, listening to The Muppets’ Green Album over and over again! Manamana was in my head for weeks after that! Can you see yourself in any of your characters? Definitely! There’s pieces of me in all of the main characters I write, even if it’s just a small detail. The character that’s closest to me is probably Kait Lenoxfrom Adventures in Funeral Crashing, although I don’t crash funerals. When you aren’t writing, what kind of stuff do you read? Any favorite titles you think everyone should read? I’m all over the place with my books. I’ve been reading a ton of YA lately, but I’ll pretty much read any genre if someone raves about the book. Favorite titles that everyone should read…hmm…I’d have to say: Pride and Prejudice by Jane Austen, The Harry Potter series by JK Rowling, and A Wrinkle in Time by Madeleine L’Engle. I’d keep going, but then this would be a really long answer. When you need to do something that doesn’t involve books or writing, what do you like to do? I love TV and movies, so watching them is at the top of my list (I really like stories! ), but I also like to play random sports and take classes. In the past I’ve been on a dodgeball league and last year I played kickball. The year before I took ice skating lessons. I’m not sure what’s next! What’s the better YA trend: vampires, angels or mermaids? I admit it – I’m a fan of vampires! So, according to your bio, you’ve worked in production on shows like That’s So Raven and Hannah Montana. That’s amazing! Tell me a little bit about what that was like. So much fun! I love working in television! It’s a crazy process making a television show! That’s So Raven was the first television show I ever worked on as a PA and that was fun because I got to learn how a sitcom was made from start to finish – from the writers coming up with an idea, to the actual writing, to shooting the show, to post production, all the way until the episode was finished. Fascinating! By the time I started working on Hannah Montana I was an old pro at the process, but that show was an amazing ride because I started on it before anybody knew who Hannah Montana was and then the show became a phenomenon! Plus, I was an assistant to the head writers, so I got to see how the show was written and I thought the writing on the show was fantastic! What’s the biggest difference between screenwriting and novel writing? For me the biggest difference is that in a novel I can tell you what the main character is thinking, but in a screenplay you have to show it outwardly by something that they do because screenplays are used for a visual medium. It’s a big difference. What’s the last book you read? Any books out there that you’re dying to be released? I’m currently reading and finishing up The Host by Stephanie Meyer. It’s very different from Twilight. As for dying to be released books, my next book to be read is Cassandra Clare’s The Infernal Devices series, so I’m sure I’ll be dying for the third book Clockwork Princess (out in 2013) after I’ve raced through reading the first two! I wish books in a series could all come out at the same time so that I didn’t have to wait for them! NOW, ARE YOU READY FOR THE GIVEAWAY? 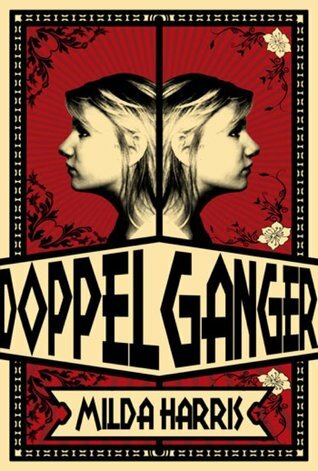 Milda has kindly offered TWO copies of the ebook of Doppleganger to TWO lucky winners! This giveaway is INTERNATIONAL and ends 11:59 PM on September 21st! Click HERE to enter!